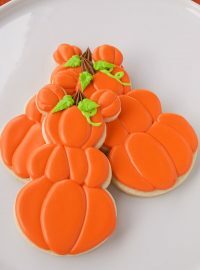 I never get tired of pumpkin cookies or pumpkin anything for that matter. 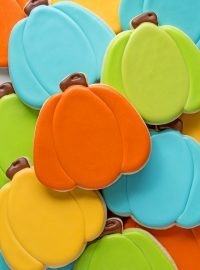 I always look for my cute little pumpkin cutters at the beginning of fall so I can have some fun decorating ‘old cookie friends’ in my favorite colors. 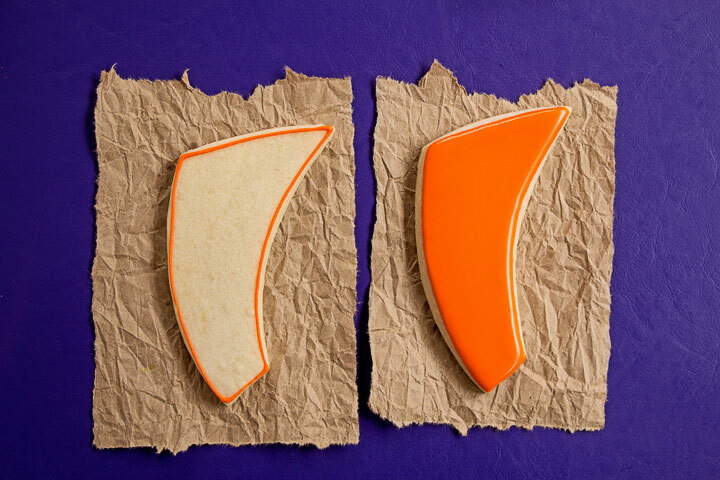 You know how it is, some cookie designs never go out of style, but I’m always ready to add a few new pumpkin cookie shapes to our toolbox. 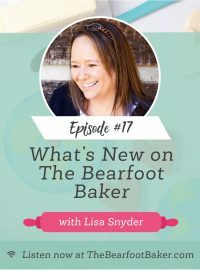 Over the past few years, my pumpkin cookie cutter collection has grown and thanks to people like Mike at Semi Sweet Design, he’s constantly adding cutters and creativity to my kitchen. 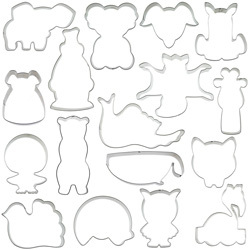 For example, check out his Spiral Platter Cookie Cutter. 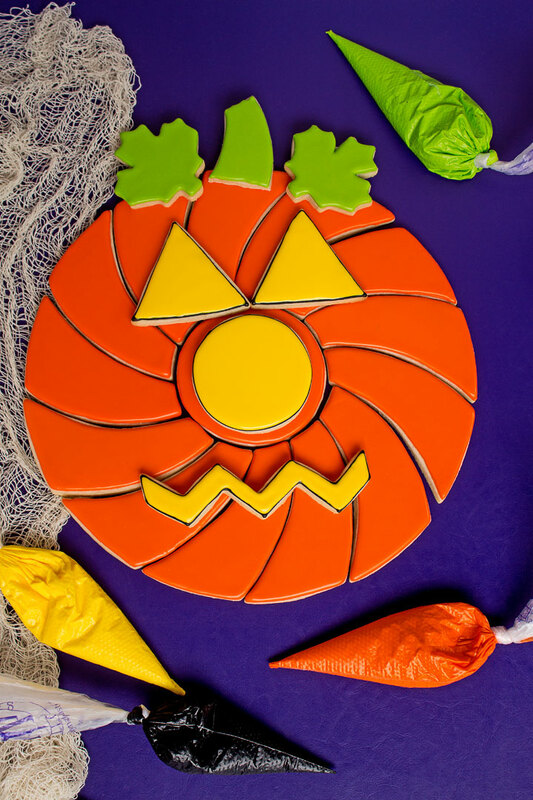 Who would have thought this wonderful spiral cutter would make a cute pumpkin cookie platter? I bet Mike knew! 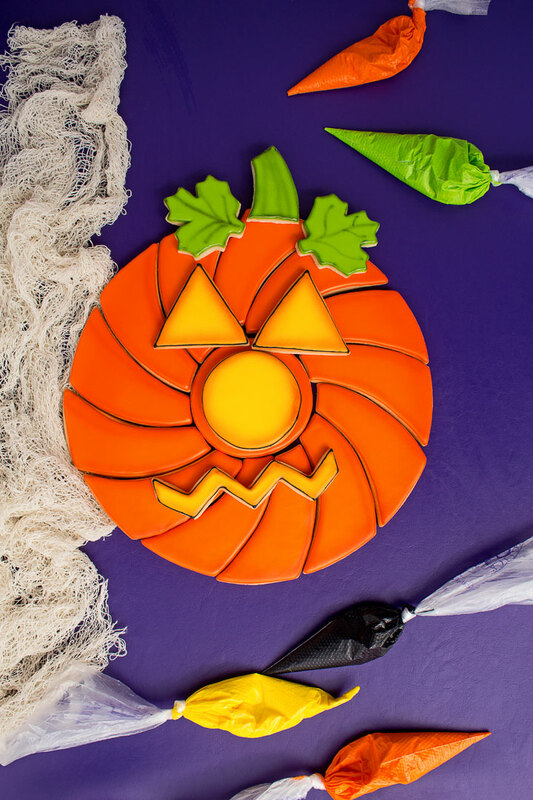 What’s great about this pumpkin cookie platter is you don’t have to have a million hours or a ton of royal icing colors to decorate. 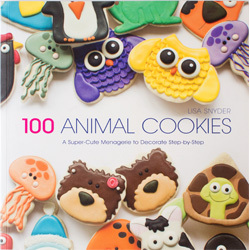 All you need are a few spiral cookies, a few colors and a few friends that want to help you eat them. Circle Cookie Cutter- Use a 3 1⁄2″ cookie with orange royal icing and a 2″ outlined with black and flooded with yellow royal icing. 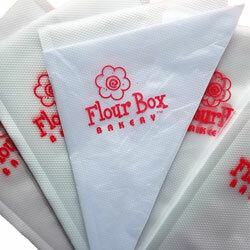 You also need to outline and flood a 3 1⁄2″ cookie with orange royal icing. 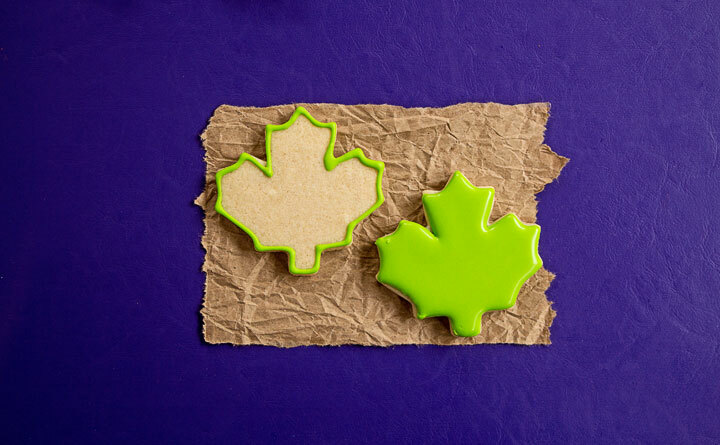 Outline and flood the leaves with the green royal icing. 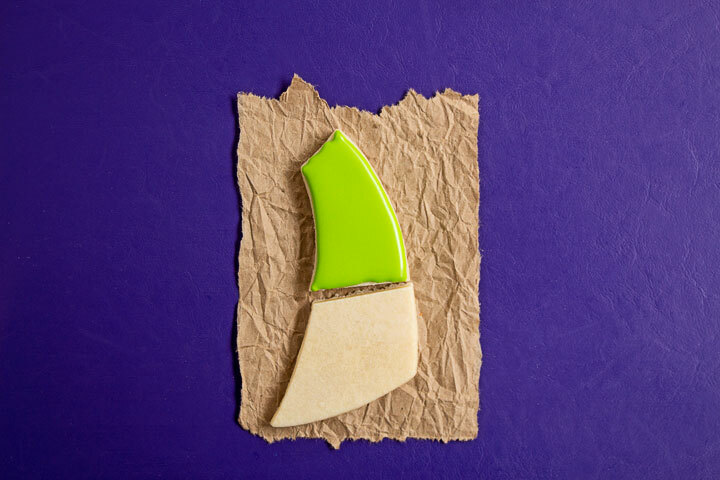 Outline and flood the stem with the green royal icing. 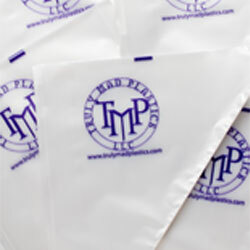 Outline the mouth with the black royal icing. 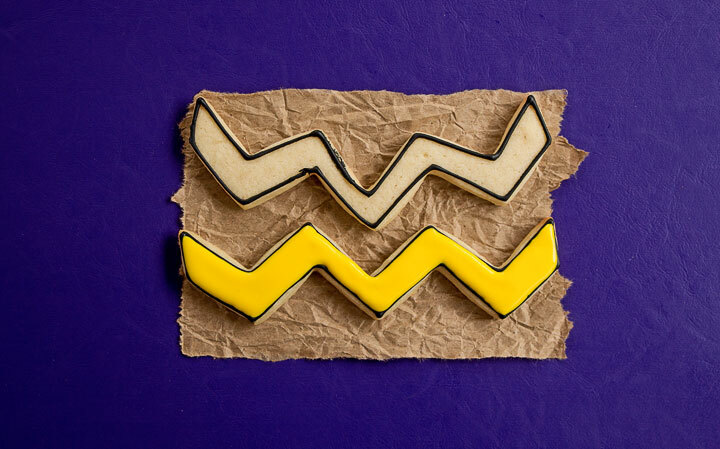 Flood with the yellow royal icing and let it dry. 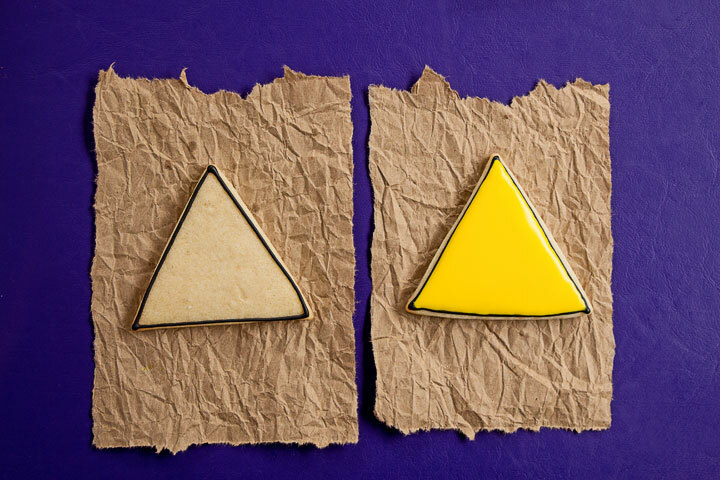 Outline the triangle eyes with the black royal icing. Now it’s time to put the pumpkin platter together. My pumpkin took thirteen spiral cookies, two triangles, one 3 1⁄2″ circle cookie outlined and flooded with orange royal icing, one yellow 2″ circle cookie outlined with black and flooded with yellow royal icing, two leaves, one stem, and one chevron mouth. 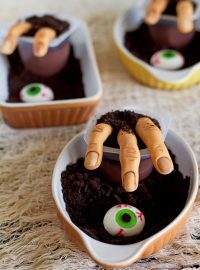 This is a fun cookie platter to make and great if you want an easy project for the kids. And if you’re feeling brave, you can outline it with a little Orange Amerimist Airbrush Color. 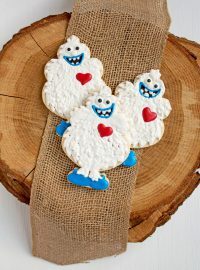 All you need to do is outline the edges of the cookies and share them with friends. You’re so sweet Christine! 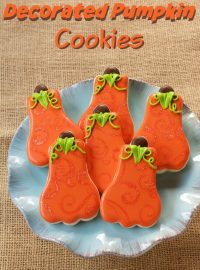 Are you making Fall or Halloween cookies?